We recently experienced what virtually every one of you has experienced or will definitely have one day – a total extended broadband failure. We knew it could happen, we even knew when, so we planned for it and our backup plan also had a backup but there is an interesting conversation I had week later with an insurance consultant. It was simple, we were told fibre was now available from our nearby cabinet. Knowing how any change can go wrong and confident that BT were capable of outwitting any plan we decided to have it installed on a spare line, OK, we would have two services for a week but we wouldn’t be left broadbandless – or so we thought. Cutting short a long story, it was installed, failed to work and the engineer was due to come out the day after our original service ceased. No problem stop the original cancellation? This was the bit we didn’t foresee, we couldn’t, it was committed and a fixed action, even a week before the date. Would the cloud have been a good idea? No! We have four servers here, we use remote control on our clients computers, we host our own email system, thankfully we aren’t on the cloud otherwise we wouldn’t be working at all, but we have been working normally. The cloud would have let our other offices communicate with each other but at three times the price of having your own servers it’s not a solution we recommend or use. There are only two people who gain from cloud services, the salesman and the cloud provider. You wouldn’t permanently rent someone else s car, so why permanently rent someone else computer. Our backup plan to our backup plan. So we could work in-house as we weren’t dependent on the cloud but as we are so dependent on the internet we had a plan in case it went down, we use Draytek routers which take a USB Dongle, we put in a SIM from Vodafone with a 30Gb capacity for £25 a month. Back up and running again in 3 hours. 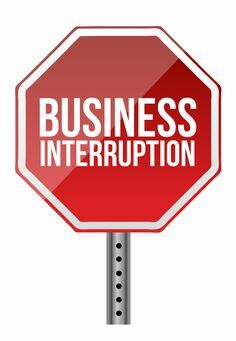 So I am talking to an acquaintance at BNI, Daniel Langford from Arthur J Gallagher about business disruption insurance. Apparently companies usually don’t have a disaster plan nor sufficient insurance for business disruption. Profits. Profits that would have been earned (based on prior months’ financial statements). This entry was posted in Uncategorized on 20th July 2017 by glyncc.